Carmel, Ind. 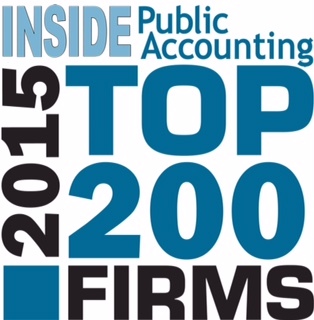 (August 20, 2015) - INSIDE Public Accounting (IPA) is pleased to present its sixth annual ranking of the IPA 200 public accounting firms. “With more than 500 firms participating in the IPA annual Survey and Analysis of Firms this year, along with many CPA firm associations contributing to the search to identify the IPA 200, this prestigious group joins the IPA 100 as the definitive ranking of the nation’s largest public accounting firms,” says Kelly Platt, principal of The Platt Group, the publisher of IPA. We are excited to share that Keiter is ranked as the 130th largest accounting firm in the country!